Here is a superb and rare Chinese Qianlong period armorial porcelain saucer. Probably made for the GARLAND family of POOLE Dorset. George Garland was Mayor and M.P for the coastal town of Poole in Dorset.The East Indiamen "Halsewell" was wrecked off the coat at Worth Matravers in 1786, and the Garlands of Eastington Farm aided, fed and sheltered the survivors. 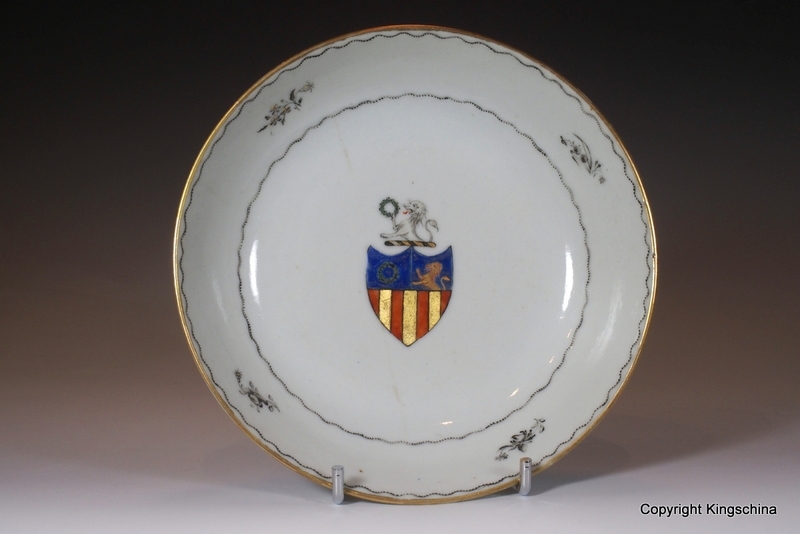 The East India Company in London presented the family with a Wedgwood teaset painted with their arms, I believe this was made for the same family or close relatives. (I have a letter detailnig this, written to Lt. Col. R.F Garland DSO who owned this piece). Material: Porcelain. 中国瓷纹章 康熙 Date: Circa 1790. 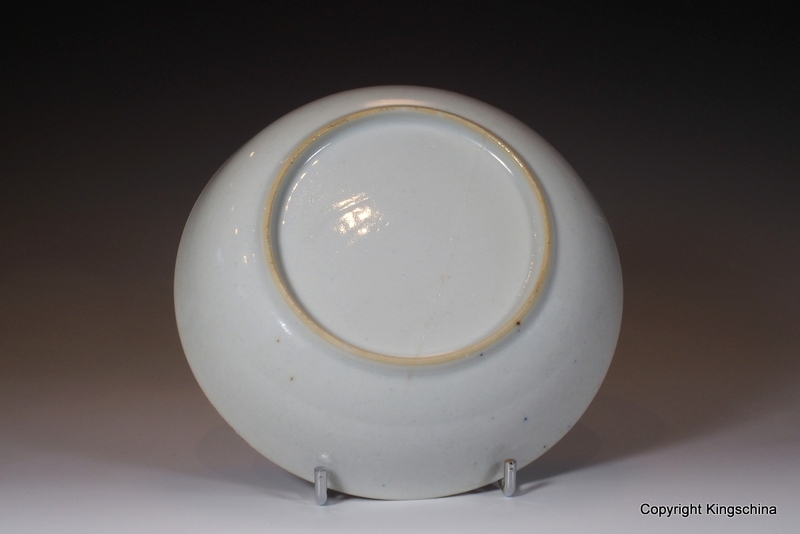 Dimensions:Saucer Approx 14cm wide.Cup: 6.5cm tall. Condition: Good display. Saucer with fine rim rack and crack to centre.Rings well. Rare service, not listed in Howard vol 1.